When the weather takes a frosty turn with falling snow and Christmas lights brighten the night sky, the sweep of holiday festivities begin to descend. Living in a cold climate, it just doesn't feel like the holidays until the ground is covered in a thick sheet of white. In the last few days, Old Man Winter has come to visit and with him has come the sudden pressure to get ready for the upcoming holidays. 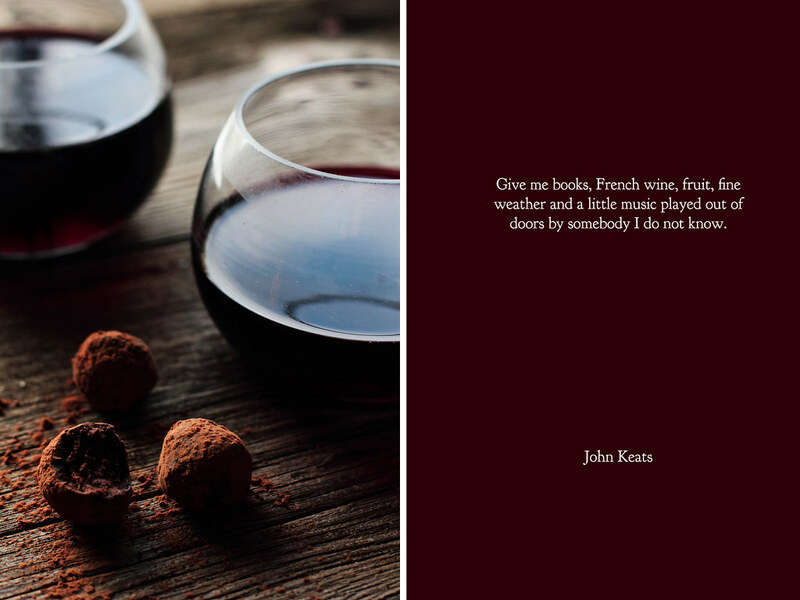 I'm still sorting out the matter of gift giving, waiting until the last minute to get my affairs in order. With homemade gifts currently strewn about my apartment in various levels of disarray, I wonder whether it would have been a better decision to purchase them instead. Even so, each year I just can't bring myself to do it, mess or otherwise. I love to bring a personal touch, however small it may be. There is, however, one gift I present each year that I can never seem to keep a surprise. Since I was a young girl, it has become a tradition to make a box of chocolates for my father on Christmas. When a small package appears beneath the tree addressed to my father—wrapped with twine and a note warning Fragile!—everyone knows what is hidden within. 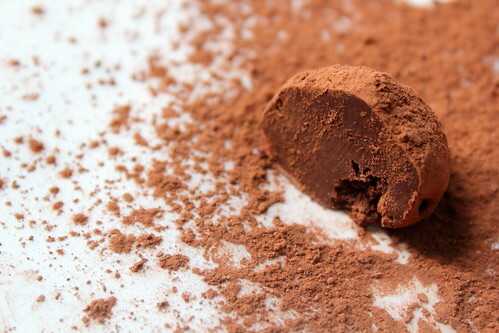 He has a deep love for chocolate that only a handful of truffles can cure; a hopeless craving that he has passed down to me. When I was young, I would wrap a bundle of Hershey's chocolate bars in paper, taking care to keep them away from the roaring flames in the fireplace. Now that I've grown older (and developed a few candy making skills of my own), his chocolate boxes have gradually grown in sophistication. The last box held an array of bonbons, with caramel and fondant filled treats, and enough milk chocolate truffles to last him into the New Year. 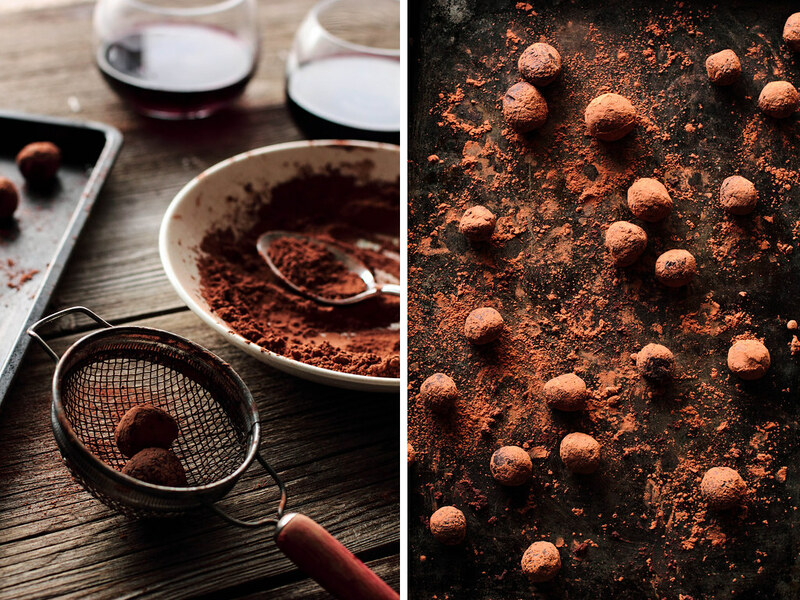 When summer rolled around this year, the idea to combine chocolate and red wine into a delicate truffle rushed through me like a sweet burst of wind. 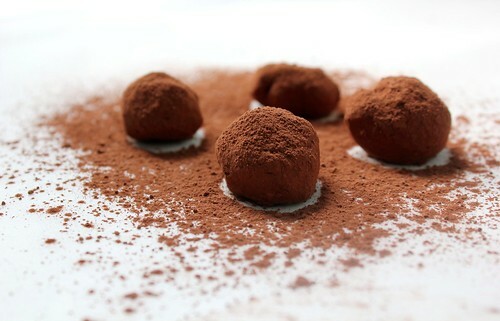 Overcome with inspiration, I tried to make these truffles in a ninety degree apartment in the middle of July. Needless to say, it didn't work out as planned. I've kept the idea brewing since, a low level current of decadence flowing thought the back of my mind. 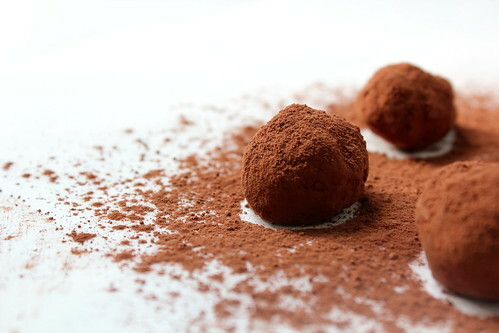 Now that the air is cool and the season is right, it was the perfect time to try my hand at these truffles again. My father's chocolate box certainly won't go empty this year. With any luck, I hope you will find yours filled with goodies, too. Note: The winners of the homemade holiday cookie giveaway have been chosen. A big congratulations to Jenny Hartin, Edith, and Monika Stout for winning a box of cookies delivered to your doorstep. Expect to hear from me very soon! 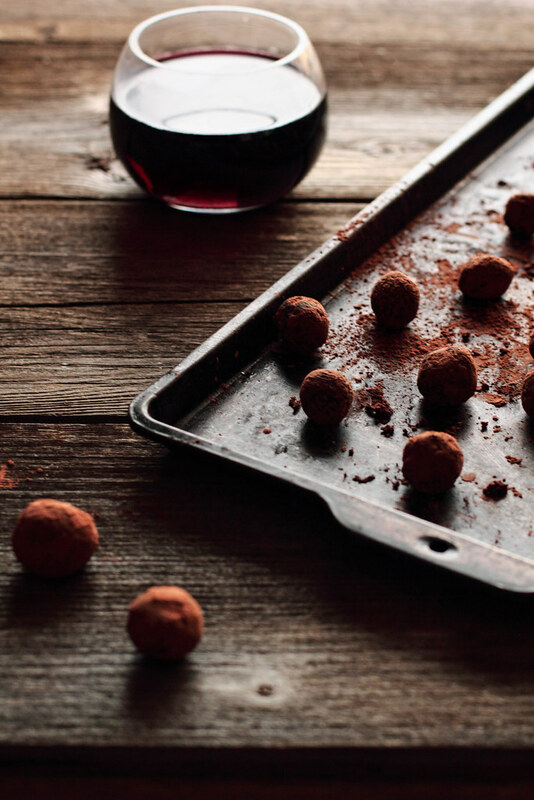 Red Wine Chocolate Truffles combine the aromatic strength of a dry, red wine and the dark tones of a quality bar of chocolate. 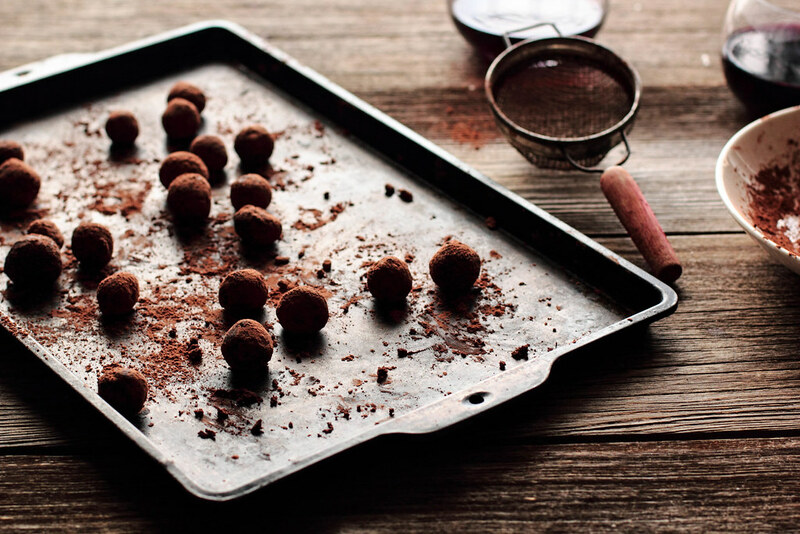 The truffles themselves are simple to make, but have such a complex flavor you may guess otherwise. 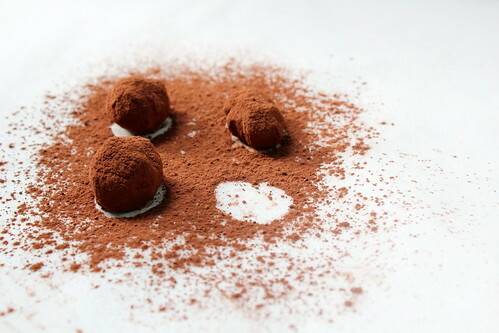 The truffles are rolled in cocoa powder before serving, lending a clean appearance to a rustic sweet. 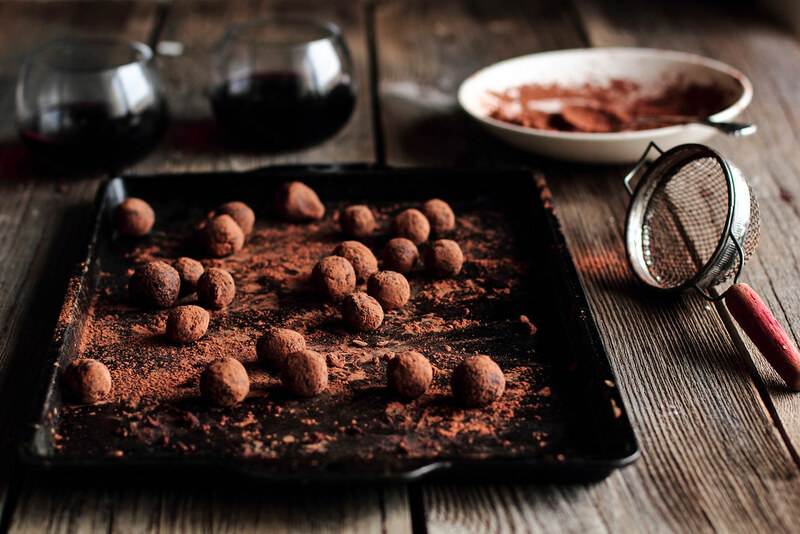 These truffles would make for a lovely addition to serve at a party with family and friends or enjoyed in front of a fireplace with a good book all by yourself. Moving has always been a bittersweet process for me. It is an ending as much as a beginning, the close of one chapter of my life and the opening of another. In the last five years, I have moved 14 times. Between summer internships, studying abroad, attending university, and moving back home for a month here or there, it adds up. Even as I sit here writing this, I still find it hard to believe. 14 times? How is that even possible?